Hello, hello! Happy Friday to you! I hope you guys all had a great week. It flew by over here since Chase only had preschool two days this week and we had a bunch of stuff on the agenda so I am ready for a little bit of downtime this weekend. Bring on pajamas all weekend! Okay, maybe not all weekend, but I’m hoping to be in my pajamas before sundown tonight. Big plans, my friends. And now let’s move along into my weekly Things I’m Loving Friday post where I share a little bit about the things that are making me happy this week. If you care to join in, I’d love to hear about something that is making you smile this week in the comments section of this post as well! If last week was the week of meals in bowls in our house, this week was the week of semi-homemade soup lunches. 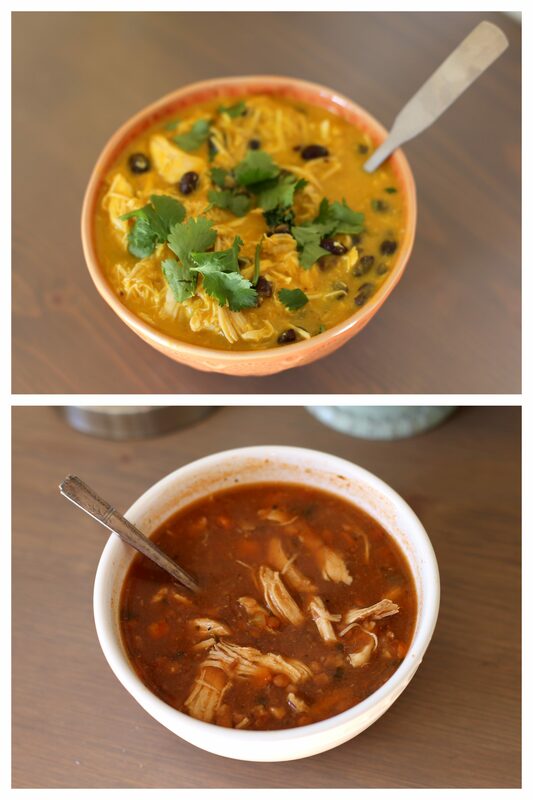 I eat dinner leftovers for lunch quite frequently but twice this week I re-purposed my leftovers into various store-bought soups and loved the way this seemed to almost breathe new life into them. On Tuesday afternoon, I added leftover salsa chicken and wheatberries to lentil soup from Whole Foods and then yesterday afternoon, I doctored up a box of creamy butternut squash soup with black beans, shredded chicken and cilantro (all leftovers from taco night) and it was fabulous! 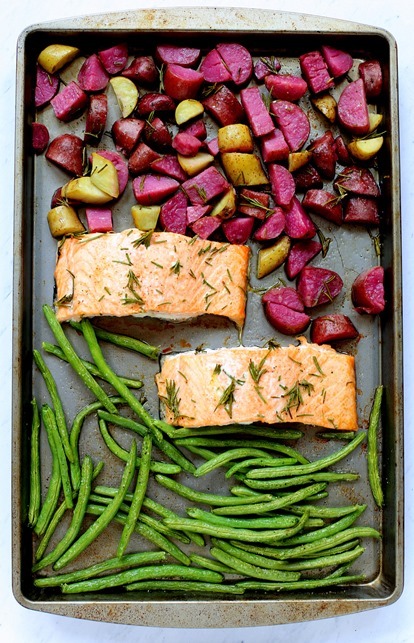 Hooray for leftovers! A while back, my beloved Four Sigmatic decaf coffee was discontinued. 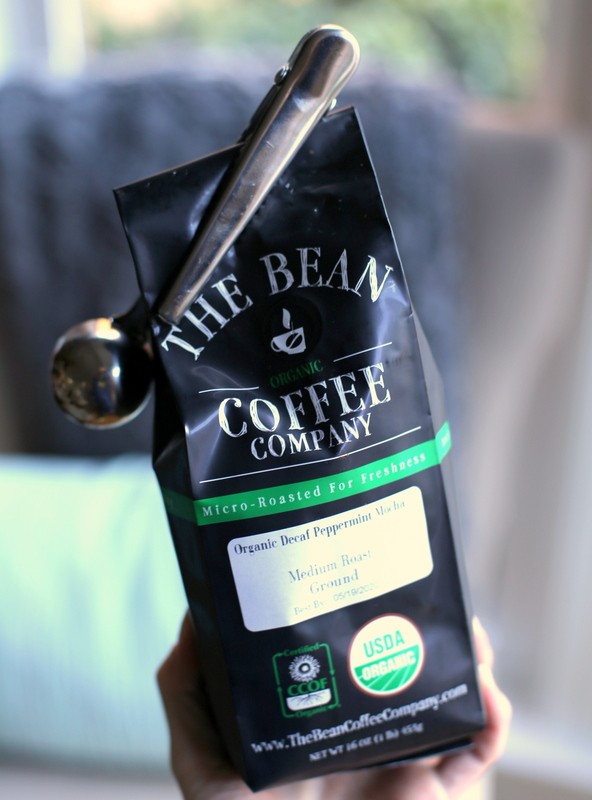 I was so bummed and went on the hunt for a decent organic decaf to replace my favorite cup of coffee. I am still on the lookout for a good one (please let me know of any recommendations), but I recently ordered this decaf organic peppermint mocha coffee off Amazon because I looove peppermint flavored coffee and it had decent reviews. I’ve been making it in the morning and pouring frothy coconut milk on top and it honestly is one of the highlights of my day! I use my Keurig’s refillable k-cup to make my own version of half-caff coffee and think it’s great mixed with regular coffee as well. 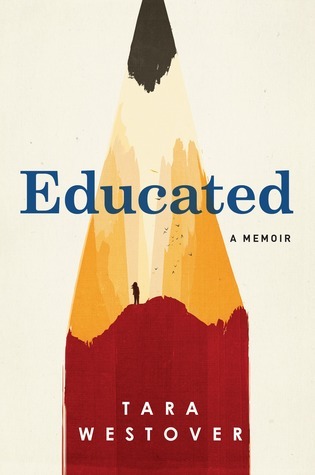 When I asked for memoir recommendations on the blog a couple of weeks ago, Tara Westover’s Educated was mentioned a few times and for good reason. The book is captivating, complicated and fascinating. I enjoyed reading her story very much and would absolutely recommend it for anyone looking to dive into a compelling memoir for their next read. Tara Westover’s memoir documents her life as a child in the mountains of Idaho where she was raised by survivalist parents opposed to traditional education and follows her journey to receiving her PhD from Cambridge, despite having never set foot in a classroom until she was 17 years old. Tara’s story is one of complicated family ties, a young girl’s thirst for knowledge, abuse, loyalty, discovery and incredible resilience. I’m not sure if what I’m about to share is new or not but it’s definitely new to me! Did you know you can select freebies to be included with your Thrive Market orders when you spend more than $29? I’ve always loved that in the past Thrive Market would include a free sample of something new in my deliveries from time to time but now it’s even better because I’m able to choose the freebie that interests me most from a selection on their “DEALS” page. 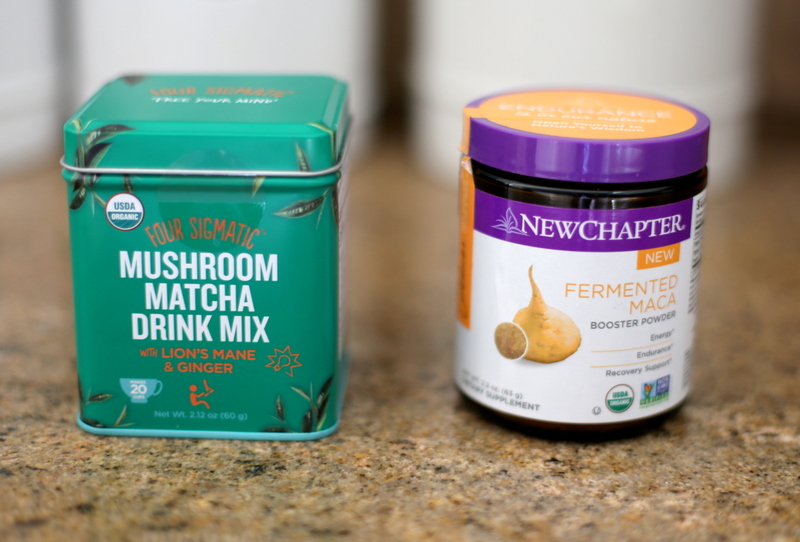 In my two most recent orders, I selected this box of Four Sigmatic Mushroom Matcha Drink Mix (a $33 value!) and a jar of New Chapter Fermented Maca Booster Powder (a $44 value — I mix it in with my smoothies) and they shipped with my Thrive Market deliveries free of charge! Since I know a bunch of you are Thrive Market fanatics like me, I just had to share this here so you can take advantage and get some great freebies in the future! And if you’re new to Thrive Market and want to give it a try, my affiliate link will give you 25% off your first order. 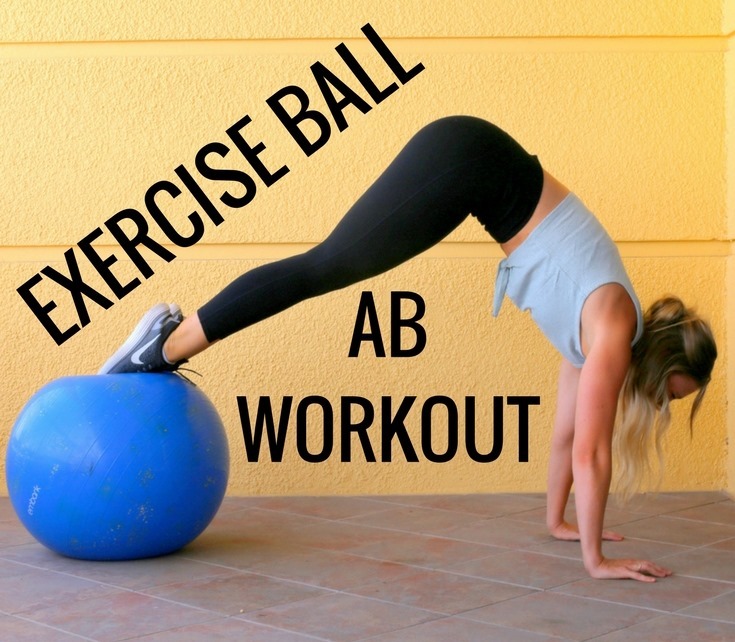 On Tuesday, my workout for the day looked like incline walking + catching up on this season of The Bachelor! It’s been ages since I watched TV during a workout but I’m not going to lie, I kind of loved zoning out on the treadmill and seeing what Colton is up to on his quest for love. I completed the above 30 minute incline walking workout so I didn’t have time to watch Monday night’s episode in its entirety, but this season seems like a good one so far! Are any of you guys watching? Thoughts? Any favorites? What is one thing you are loving this week? Pajamas sound fabulous! We are having a cold streak in Wisconsin; I think the high is supposed to be -4! Unfortunately next week is supposed to be colder! Interested in reading Educated! Need to get back on my treadmill while listening to Gretchen Rubin’s Happier podcast- thanks for inspiring ! Have a nice cozy weekend everyone! Oh yay! I am so excited you are watching the Bachelor! I can’t comment because I read all of the spoilers before the season started for the first time ever! (I normally try to hold off as long as possible but I swear I am enjoying this season more than any other! It is Soo interesting to watch his interactions with the women while knowing when they will be kicked off! I love Reality Steve, the spoiler guy). I can’t wait to hear your thoughts if you keep watching this season! Educated has been on my list for a while now. I need to get on the waitlist at the library! I’m currently reading Where the Crawdads Sing and I’m loving it! Can we talk about the clip on your coffee scoop? Where is that from? Love it! I honestly cannot remember! I’ve had it for years — I want to say Bed Bath and Beyond maybe? I love it, too! Very handy! That’s great you got to pick your bonus gifts! Since I know you have a lot of readers, I just wanted to pop in and say for many people, mushroom stigmatic coffee and/or maca are safe (there’s debate about maca and breastfeeding because it’s a stimulant, so check with your doctor if you’re unsure). In those with autoimmune illness, however, the mushroom coffee stimulate the already confused and overextended immune system, thereby throwing you into a flare. It’s comkon for doctors to not tell you what you ha EoS autoimmune, so anyone with hypo- or hyperthyroidism, ulcerative colitis, rheumatoid arthritis, psoriasis, eczema (now thought to be autoimmune), etc: ask your doctor for an antibodies test and/or proceed with caution. Maca can interfere with thyroid production, so those with Graves or Hashimoto’s need to be careful. I have Hashimoto’s and wasn’t told that’s the kind of hypothyroidism I had until *years* after my initial diagnosis. Thank you so much for sharing this, Nikki! Counter Culture decaf is my favorite! It’s called Slow Motion and in the red bag! Thank you!!! I’ve seen that one and have actually been meaning to try it! I have been loving this season of The Bachelor. I’m not sure what it is – more genuine? Less dirty? More cute and fun girls? Not sure! BUT I love Cassie, think she’s adorbs, and Kaelyn (spelling? The NC Queen). I’m getting a little annoyed with the constant monologue between the two beauty queens though, and I’m hoping some new drama arises 😉 Have a great weekend, Julie! Cassie and her sister were both on an online Laguna Beach type reality show…about Cassie’s Christian college. It filmed 4 years ago but she just filmed season 2. I am obsessed with The Bachelor franchise, though I don’t love Colton. Demi and Tracey drive me nuts. Demi is a brat but Tracy is also being a bit dramatic (but as an “older girl” myself, I don’t love Demi’s comments haha). I LOVEEEEE Elyse. I don’t think she’ll get far but she’s so pretty and down to earth. Agree on all fronts! Also, I think that with the pageant girl drama, I’m definitely on Team Caelynn! I would have agreed with you – but I just did some searching online and read that while there is no definitive answer to what the feud was, Caelynn has notoriously been shady and takes advantage of people in the pageant world. I didn’t read one negative thing about Hannah. *shrug* Either way, it’s just petty! I’ve been loving this one! 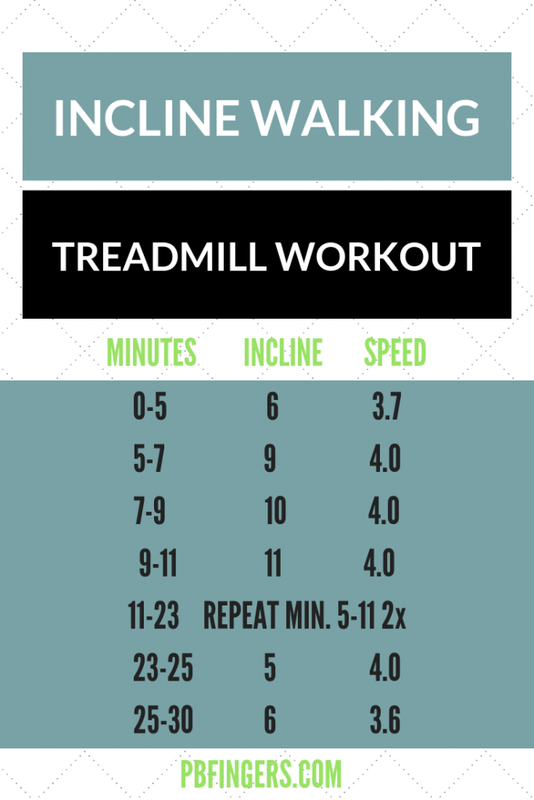 I always love your incline workouts!! Can’t wait to try this one out! Leftovers are the bestovers, that’s what I always say. 🙂 Happy Friday, Julie! Educated was fantastic. I agree it’s an incredible story of resilience. That coffee set up sounds delicious! How do you add your frothy coconut milk? And I’m assuming it’s the full fat coconut milk from the can? I’m trying to get off of dairy but I haven’t found a good half/half substitute yet! Thanks! It is and I LOVE it!! So creamy! I use a frother I bought off Amazon that simultaneously heats and froths the milk. So tasty! I finished Educated a couple weeks ago and oh man, parts of it made me so angry! It’s nice to see how she was able to turn things around for herself.